Here is the finished board. I was hoping to get some more pics but the light is playing funny tricks with the photos at the moment. just discovered this blog. I just started playing/collecting Dark elves, amazing work hope you keep doing it! Thanks for the comment, it has been a while since I have posted here. 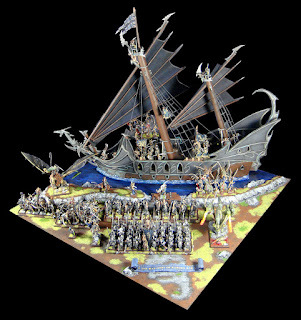 Looking to start a new army in the coming year.